Lucid Audio Project builds handmade custom premium quality guitar cables, mic cables, pedal board cables, and top of the line audio cables for studios, IEMs, Line 6 wireless, Shure wireless, AKG, and Sennheiser wireless systems. Lucid Audio Project is an instrument cable company based out of Pelham, Alabama. The company was created to offer musicians, not only the best cables on the market but the best value as well. All Lucid Audio Project cables are handmade in the USA with the highest quality parts and backed with a Lifetime Warranty!. You will not find a better product and service at the value we provide. Read the reviews and give us a try. Your satisfaction is guaranteed. The L6C series has been called the most popular wireless transmitter cable on the market and for good reason. Just like everyone else with a Line 6, Shure, AKG, & Sennheiser wireless system, we got tired of spending hard earned money on poor quality replacement cables that just don’t cut it. The stock cable, as well as many of the other replacement cables out there, are just sub-par so we decided to design a cutting edge studio quality/tour ready replacement upgrade cable for your wireless system. If you’re tired of poor cable quality with your premium wireless rig, do yourself a favor and get a Lucid Audio Project cable today. You won’t regret it and will see why Lucid Audio Project is the go-to for musicians that are serious about their playing and sound. Still unsure, read the reviews to see why Lucid Audio Project cables are the world’s most popular replacement cables on the market. Click here to find the perfect L6C series for you! In today’s heavy use of wireless, there are still many musicians that just don’t like the wireless concept and need an instrument cable that not only works but sounds clear and can take a beating. Our LiFeLINE guitar cable series does just that and looks good doing it too! 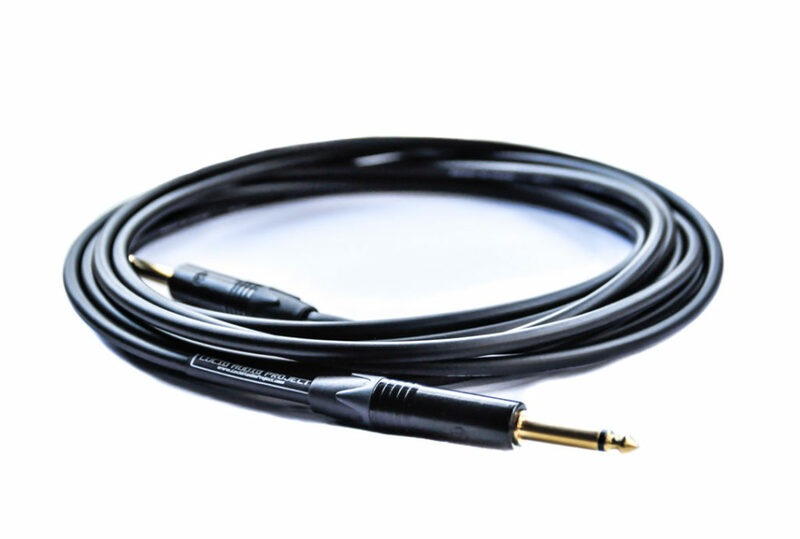 LiFeLINE is the perfect instrument cable for those looking for a transparent signal path to their amp. With its relatively flat frequency response and super low capacitance, this cable is perfect for ANY instrument – guitar, bass, keyboard, you name it! Do yourself a favor and stop buying cables that color and degrade your signal. Your amp and your instrument are for tone, not your cable. Click here to see our selection of LiFeLINE instruments cables! Buy direct! Feel free to make your purchase right here on our website. Our entire website is SSL secure (https) and we use PayPal, Amazon Pay, and Stripe to securely process all transactions so your information is kept safe. We accept all debit and credit. You pick your favorite payment method! Purchase from your favorite stores! We know everyone has their favorite online stores, so we offer many purchase options for you. You can also purchase our cables from your favorite online retailers: eBay, Storenvy, Reverb.com, & Amazon. Our official online retailer, MusicRoxx, holds both prestigious Power Seller and Top Rated Seller statuses on eBay. MusicRoxx also has stellar ratings on Amazon and is ranked a Preferred Seller on Reverb.com. Have questions? Issues? Need help deciding? Send us an email. Return Policy: All Lucid Audio Project products are guaranteed 100%. If you don’t like it, aren’t happy with it, simply send it back for a full refund or exchange within 30 days of receiving your order. A full refund of purchase price minus original shipping costs will be given once the item is returned and inspected. Item must be in new unused condition to receive a full refund. Items returned that don’t match this requirement will either be returned to buyer or buyer will be responsible for a minimum 20% restocking fee. Buyer pays return shipping. Warranty: If you have issues with your Lucid Audio Project product, just send it in and we’ll repair it for free. Just pay round-trip shipping and we’ll take care of the repair and all parts needed for repair. If the item is beyond repair, we’ll replace it at no additional charge to you. Please make sure to contact us prior to shipping your item to us. This warranty does not cover abuse. Our mission is to help musicians, studios, and audiophiles get the highest quality audio cables for their money. Do you have a custom cable idea that you’d like us to build? Send us an email for an instant quote. Design by: BLP Media & Design. Powered by: Belmont Lane Productions.